The power of camp is delivered through the skills and strength of the counselors and facilitators who run our unique programs. Teen Club leaders employed by SeriousFun’s partner, Baylor College of Medicine Children’s Foundation-Malawi, play a vital role in bringing together campers who are HIV+ when camp is not in session. Once a month they host Teen Club meetings and activities that provide psychosocial support to campers transitioning from child to adult. In order to strengthen this much-needed program throughout Malawi, SeriousFun Children’s Network led a Training of Trainers (TOT) workshop aimed at building the capacities of Teen Club leaders. The training focused on incorporating concepts from camp, including intentional activity design that promotes sharing experiences and building social networks, and provides techniques to increase knowledge about living with HIV and adhering to treatments. 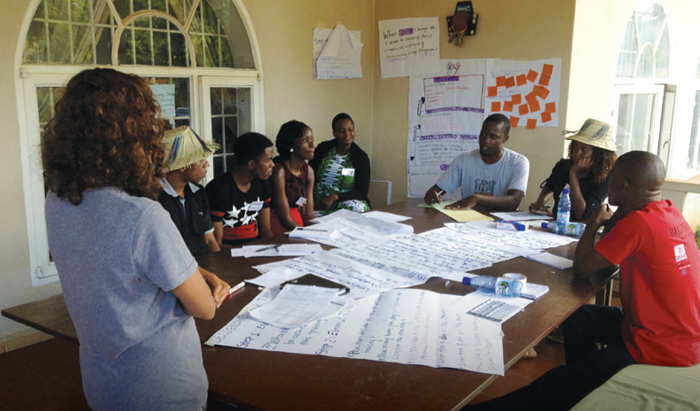 In 2017, the training team held workshops across Malawi for twenty-nine Teen Club leaders, who are now better able to facilitate engaging discussions and activities to help guide and support this vulnerable population of adolescents. Camp Hope, Malawi, operated in partnership with Access Health Africa and Baylor College of Medicine Children’s Foundation-Malawi. What does Training of Trainers mean? Training of Trainers workshops are designed to establish a core team who are equipped to teach Teen Club leaders how to enhance their facilitation and strengthen the delivery of their programs. As more Teen Club leaders are hired to expand these programs to multiple regions, it is important that a skilled team of trainers exists to support this growth. The trainers who are qualified through participation in workshops are able to share their knowledge and experience within their region, allowing SeriousFun’s partners to support country-wide program growth that maintains high standards of quality and safety. Our partners at Baylor College of Medicine International Pediatric AIDS Initiative have developed a monthly peer support system for HIV+ adolescents called Teen Clubs. As a compliment to camp, Teen Clubs empower adolescents to build positive relationships, improve self-esteem, and acquire life skills through peer mentorship, adult role-modeling, and structured activities, ultimately leading to improved clinical and mental health outcomes as well as healthy transition into adulthood. 2017 SeriousFun Leadership Fellows and SeriousFun Support Center Staff. SeriousFun launched a new design its Leadership Fellows program in 2017. The new program provides a full year of professional development opportunities through mentorship, peer exchange, in-person and web-based facilitated discussions, and fellow-designed leadership projects. In 2017, six full-time staff members from across the Network camps were selected to participate in the Leadership Fellows program. 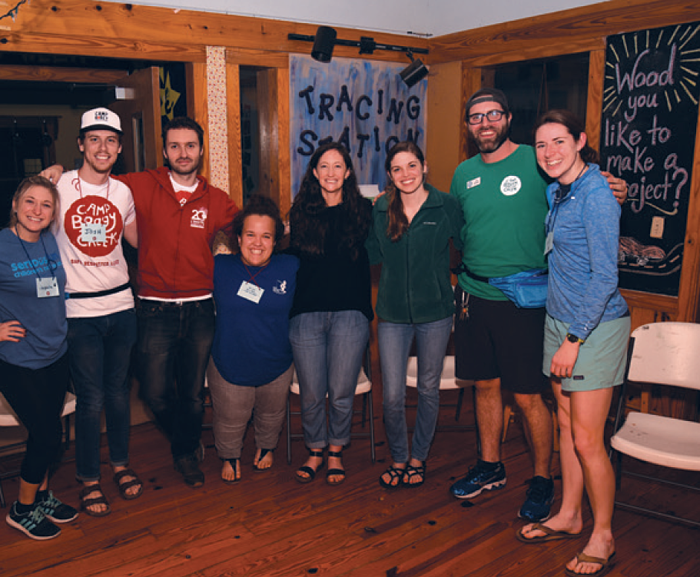 Throughout the program, Fellows connected with like-experienced individuals, some they knew and some they were meeting for the first time, to collaborate on projects aimed at benefitting all Network camps. Additionally, Fellows were trained and equipped to become effective ambassadors for the whole of SeriousFun Children’s Network. As a key component of the program, the Fellows collaborated on a group project. The Guide To Camper Transition Programming offers all Network camps and programs valuable information and insights on designing and implementing transition programming for campers who are aging out of camp. The completed guide was shared for the first time at the American Camp Association National Conference in Orlando, Florida, in February.